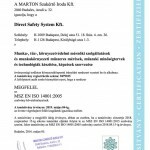 The Direct Safety System Engineering Services Ltd. offer complex services in the field of occupational health and safety, fire safety, environmental protection, environmental measurements and trainings. 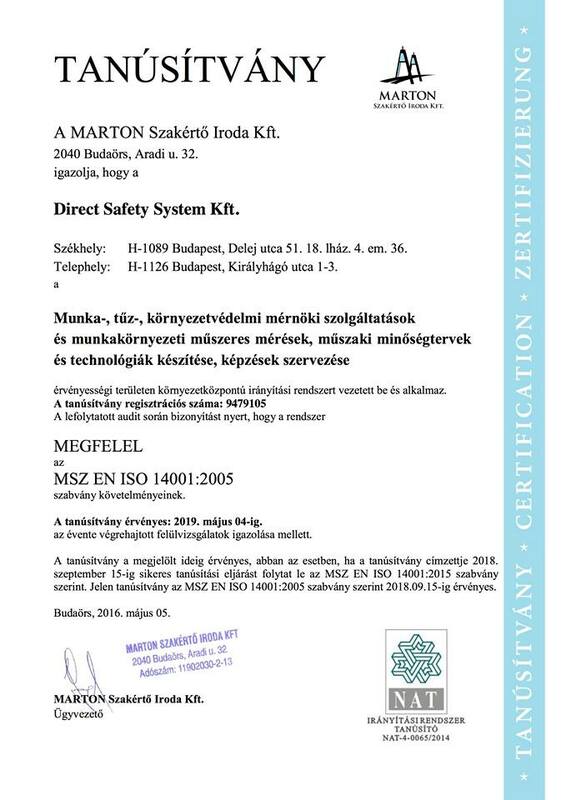 The basis of our organization’s quality and environmental management is determined by the present quality and environmental management policy which contains the defined and proclaimed commitment and trend of the management regarding quality and environmental protection. 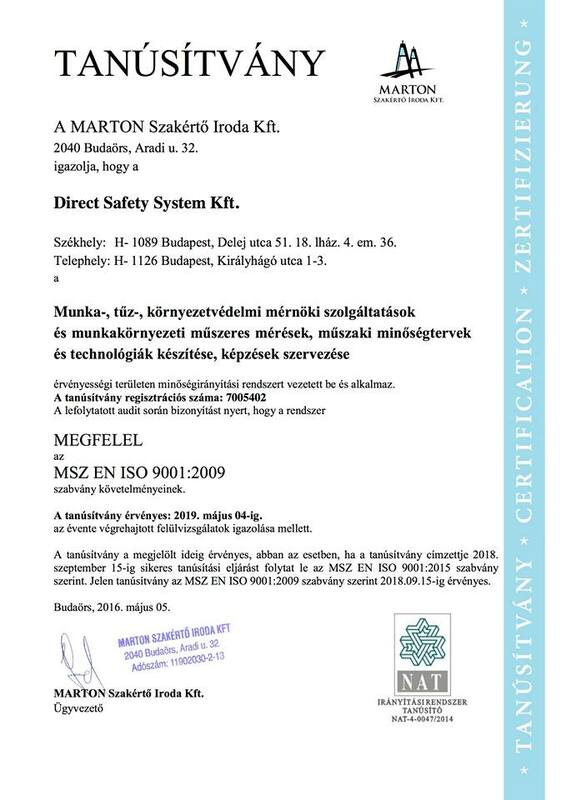 All of our colleagues support the policy of the organization, understand the fundamental objectives, structure and implementation methods of quality and environmental management system and are familiar with the requirements of the MSZ EN ISO 9001:2009 and MSZ EN ISO 14001:2005 standards. Quality and environmental management is the duty and responsibility of every colleague and our commitment to quality and environmental protection is verified by our exemplary behaviour, conscious role related to quality and environmental management activities and monitoring and measuring the management processes. Understanding that the protection and conservation of our environmental values and the protection of the quality of our environment are fundamental conditions of sustainable development, we express our dedication to spreading the quality and environmental conscious thinking, to continuously operating and developing a quality and environmental management system and achieving its goals, during which it is pivotal to constantly reduce our environmental impact. Living together with the environment in a harmonious way is our organization’s philosophy, more precisely, one of the fundamental requirements of our quality and environment-focused policy on which all the activities of our organization is based from procurement to service provision. This policy constitutes an organic part of our management, implementation, controlling and development processes. With our constant developments, we aim to become a more important player in meeting the needs of contractors. We wish to reach this objective by offering a comprehensive customer service to our contractors and duly complying with the contractors’ and our own quality and environmental requirements and legal obligations. The same is expected of our subcontractors and suppliers. We commit ourselves to operate and develop our management processes in a quality and environmentally conscious manner, to prevent environmental pollution under normal operating conditions and in case of emergency to make sure that the environmental damage is contained as much as possible. We assess our processes considering all the relevant quality and environmental aspects and effects, based on which our quality and environment-focused management objectives and plans are continuously communicated to our shareholders, colleagues, partners and environment. 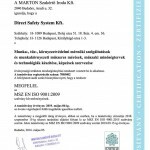 Through continuous trainings, all of our colleagues at the organization are made aware of the need to do everything they can in their respective fields of work to comply with the requirements of quality and environmental management with a view to be able to provide high quality service in the interest of our contractors while our environmental values are being protected.